Condo buyers at Seattle’s largest condominium development, the Insignia in downtown, have begun closing. Over the past week more than 40 homeowners have closed on their luxury condo homes in the South Tower and have started to move-in. 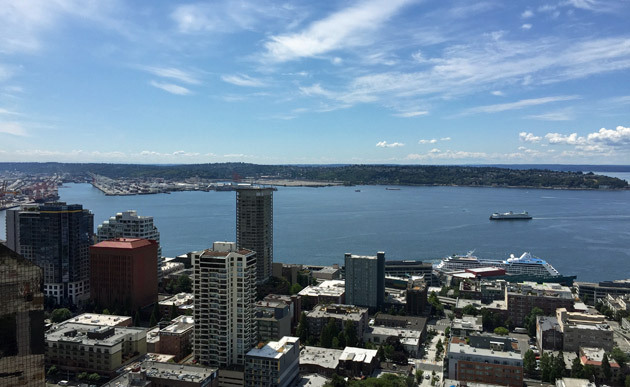 This marks a major milestone not only for Bosa and Insignia, but for Seattle’s condominium market, heralding the first new condo delivery in Seattle in six long years. The sales center has moved to the 22nd floor of the South Tower with a selection of furnished model homes on display and the finishing touches are in the works on the building’s world class amenities. At present, approximately 80% of the homes in the South Tower (Phase 1) and 55% of the homes in the North Tower (Phase 2) have been sold. The North Tower is scheduled for completion next summer.